One of the best things about Walt Disney World is that Disney constantly adds new experiences, shows, and attractions to its four theme parks in Orlando. This keeps a visit to Walt Disney World fresh, even for those who visit the parks on a regular basis. Summer 2016 is shaping up to be one of the most packed seasons in recent memory when it comes to new attractions and shows. If you’re planning a Disney World vacation in the summer months, here’s everything new you can look forward to. Update 4/20/2016: Disney just released a slew of new information at their Awaken Summer event, including more specific opening dates for many of these attractions. Memorial Day Weekend will feature a lot of big openings. Mickey’s Royal Friendship Faire – Debuts June 2016. 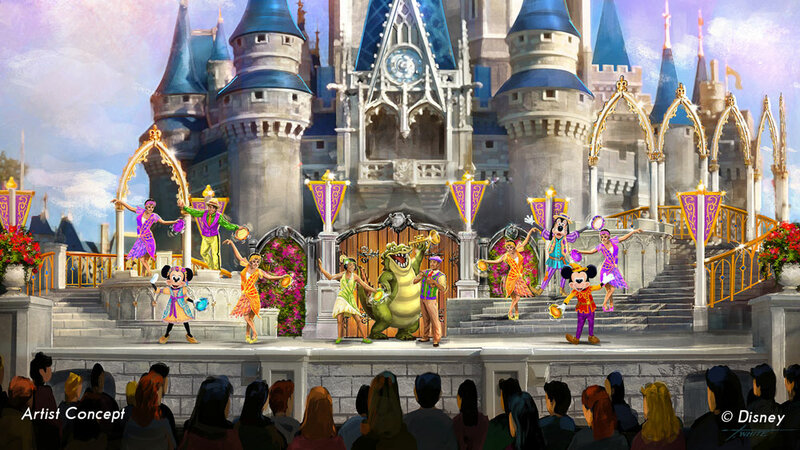 A brand new castle show is coming to Magic Kingdom. Replacing the currently running Dream Along With Mickey, Mickey’s Royal Friendship Faire will be a royal musical greatest hits of Disney’s contemporary fairy tales: “Princess and the Frog,” “Tangled,” and the immensely popular “Frozen.” Mickey, Minnie, Donald, Daisy, and Goofy will each interact with the stars of those previously mentioned Disney films (such as Donald Duck meeting some friends from Tangled’s Snuggly Duckling tavern), and the show will feature songs from each movie. The show builds up to a fireworks finale. Mickey’s Royal Friendship Faire will perform multiple times a day on the Cinderella Castle stage. Frozen Ever After – Opens June 2016. 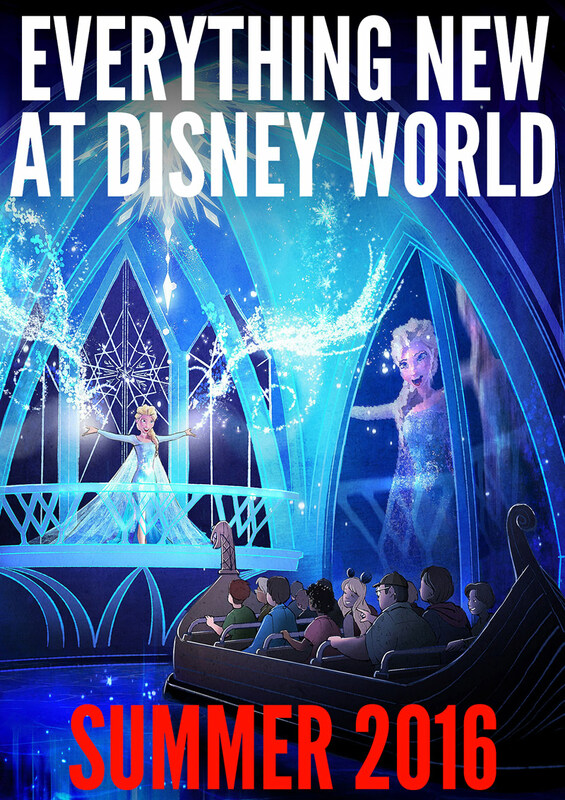 As you may have heard, Frozen is invading the Norway Pavilion in a big way. 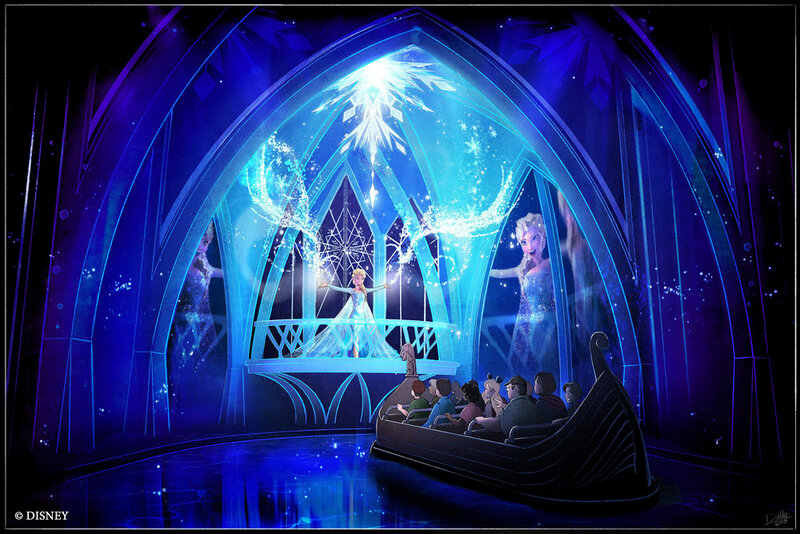 Replacing the popular Maelstrom, this boat ride takes guests through Arendelle on a “Summer Snow Day.” Guests will float through a frozen willow forest, experience Troll Valley, and journey all the way to Queen Elsa’s Ice Palace. The ride will not only feature Frozen’s classic songs, but songwriters Bobby Lopez and Kristen Anderson have written new lyrics specifically for the attraction. Disney is promising the “most advanced Audio-Animatronics to date” with Frozen Ever After. Expect this to easily become one of Epcot’s most popular rides when it opens this summer. Royal Sommerhus, New Frozen Meet and Greet – Opens June 2016. Modeled after a traditional Norwegian cabin, this will be a new home for the massively popular Anna and Elsa meet and greet. This will be adjacent to Frozen Ever After in the Norway Pavilion at Epcot. Soarin Around the World – Opens June 17, 2016. As you may know, Epcot’s extremely popular attraction Soarin’ is currently closed for refurbishment. What you many not know is that Soarin’ will be a totally different experience when it reopens. Disney created a completely new film for Shanghai Disneyland’s Soarin Over The Horizon, which will feature scenes from iconic and gorgeous locations all over the world. Epcot’s version of Soarin will get this new international film, along with some other upgrades. The film projection system is being replaced with a digital 4K projector (goodbye dusty specks! ), and a third theater is being added (hello, more reasonable wait times!). Soarin Around the World will premiere the day after Shanghai Disneyland opens on June 16, 2016. FastPass+ reservations will begin April 21. Turtle Talk with Crush and Dory – Opens Early May. Coinciding with Pixar’s upcoming “Finding Dory,” the titular star is being added to Turtle Talk with Crush. That’s right, the ever-forgetful Dory and some of her new friends from the new movie will be featured in Epcot’s interactive show at The Seas pavilion. Meet Joy and Sadness – Begins April. Meet with polar opposite stars of Pixar’s breakout hit “Inside Out.” Coming to Epcot Character Spot in Future World, this meet and greet location will be themed to the headquarters inside Riley’s head. Rivers of Light – Opens Mid-to-Late Summer. A brand new nighttime spectacular is coming to Animal Kingdom. Taking place on Discovery River near Expedition Everest, this show will combine live performers, floating lanterns, special effects, and giant water screens. 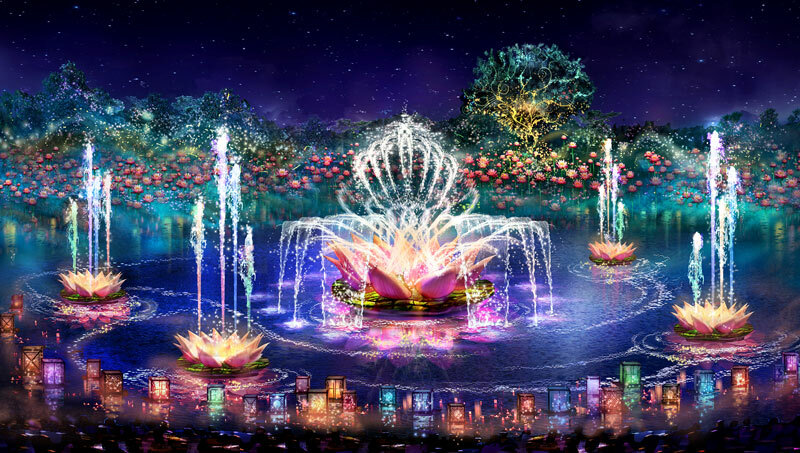 Rivers of Light is shaping up to be a beautiful show unlike anything else at Walt Disney World, and it is one of the biggest additions that is helping Animal Kingdom become a full day park. This show has been delayed, and no new opening date has been announced. In the meantime, Disney will be putting on the next entry in this list. Jungle Book – Alive with Magic Show – Opens May – While Disney gets Rivers of Light ready, they’ve come up with a good interim solution. Discovery River will host a limited-time show based on Disney’s latest mega-hit feature film, The Jungle Book. Disney promises that the show will be “filled with music and special effects,” and will blend the classic songs with a new Indian influence. Nighttime Safaris – Opens Memorial Day Weekend. What I’m personally calling Kilimanjaro Safaris: Nights!, one of the best additions to Animal Kingdom’s longer operating hours will be a new twist on one of the most popular attractions at the park. Kilimanjaro Safaris will be offering safaris for guests into the night, officially called Sunset Kilimanjaro Safaris. But this isn’t just a ride through the dark or the same old ride with some flood lights slapped onto it. Disney has created special lighting that will give the effect of perpetual dusk throughout the safari expanse, and they are including two new species as part of the safari: African wild dogs and hyenas. Tiffins Restaurant – Opens Memorial Day Weekend. A new signature restaurant is coming to Disney World. Celebrating the art of traveling, Tiffins will feature a menu featuring cuisine from Africa, Asia, and South America. With both indoor and outdoor waterfront seating, Tiffins should be a must try once it opens this summer on Discovery Island in Animal Kingdom. Reservations will begin May 20th. Nighttime Entertainment – Opens Memorial Day Weekend. In addition to the show on Discovery River and Sunset Kilimanjaro Safaris, Animal Kingdom will have a whole lineup of nighttime options that will keep guests delighted and entertained. For example, the Tree of Life will come to life at night, with “awakenings” throughout the evening featuring magical fireflies, music, and dance. Harambe Wildlife Parti and Discovery Island Carnivale will be street dance celebrations featuring food, drink, and music. Also, attractions such as Expedition Everest, Dinosaur, and Kali River Rapids will keep longer hours into the night. Star Wars Entertainment – Coming April/June 2016. As we told you earlier this year, a whole new lineup of Star Wars entertainment is coming to Hollywood Studios. This includes “Star Wars: A Galaxy Far, Far Away,” a new stage show featuring popular characters such as BB-8, Kylo Ren, and Darth Vader which will be performed multiple times daily. 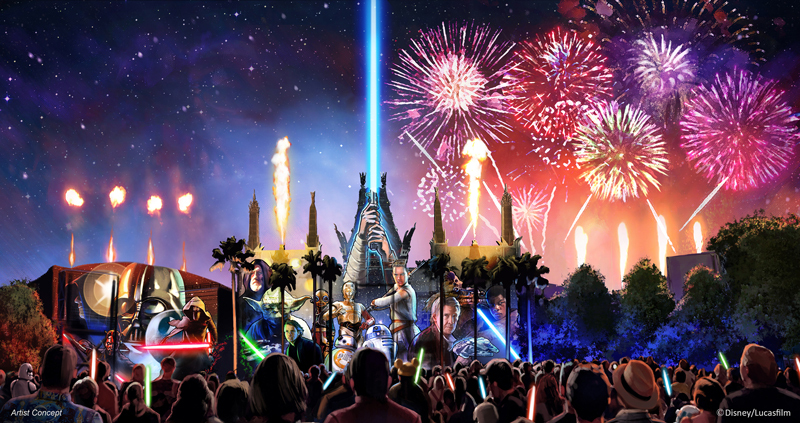 However, the biggest thing coming from the galaxy far, far away to Hollywood Studios is “Star Wars: A Galactic Spectacular,” which takes the current Star Wars-themed fireworks show and kicks it into hyperspace with lasers, special effects, and projections. Star Wars: A Galactic Spectacular will debut in June. Third Toy Story Midway Mania Track – Opens Memorial Day Weekend. Disney is expanding Hollywood Studios’ most popular attraction, Toy Story Midway Mania, by adding a third track. This should hopefully alleviate some of the long wait times that the attraction has. No word if any other enhancements or surprises are in store for the ride. Meet Olaf – Opens Spring 2016. While Disney World guests have been able to see Olaf in various parades and shows for awhile now, starting this spring guests will be able to meet the ubiquitous snowman in a setting Olaf is sure to love. Yes, Olaf will be enjoying sunny, summery weather at the Celebrity Spotlight by Echo Lake at Disney’s Hollywood Studios. This is sure to be one cool meet and greet when it debuts this spring. STK, an upscale, modern steakhouse featuring the only rooftop dining at Disney Springs. The Edison, a lavish, speakeasy-style bar and restaurant with an industrial-Gothic feel. (I’ve been to the one in Los Angeles, and it’s incredible). Tablas Frontera, a new table-service Mexican concept from James Beard Award winning Chef Rick Bayless. A new Town Center expansion, featuring Anthropologie, kate spade, Sephora, Alex and Ani, Coca-Cola Store, LACOSTE, Vera Bradley, and more. So that wraps up our big look at the new attractions, restaurants, and shops coming to Disney World in summer 2016. What are you most excited about seeing on your next Disney World vacation? Let me know in the comments below! Want to find out more about Disney World to get ready for your WDW trip? Click the graphic above to sign up for a free Disney World vacation planning DVD from Disney. This fun resource is a great way to learn more about the parks and get excited about your upcoming trip to Orlando. Plus, did I mention that it’s completely free? Great stuff, James! We are heading there in November with our two year old, very excited! Awesome! Hope you enjoy all the new things at Disney World on your trip! Great news about toy story! When we visit in july i’m assuming it will be easier to get on at rope drop! Definitely, Maddie. It looks like the third track has vastly improved the wait times since it’s opened, which is very welcome news to me. Reading it a little late, but great article! This would be a good feature to repeat several times a year to keep us up-to-date on changes. Thanks, Bruce! Definitely have plans to make this a seasonal thing, as it will really help repeat visitors know what new things to check out on their next visit to Disney World.